In this day and age, you’d be hard-pressed to find a business that doesn’t have a Facebook page. But if you’re simply posting on your social media accounts once or twice a month and leaving it at that, you’re doing it all wrong. There’s a lot more to social media marketing than meets the eye! In this article, we’ll walk you through exactly how you can fine-tune your social strategy, and nail your social media promotion efforts. Let’s get started! Before we talk about how you can market your website effectively on social media, let’s take a second to discuss why social media marketing is important. First and foremost, pretty much everyone is on social media. Consumers, on average, use social media for a whopping 2 hours and 15 minutes per day, and much of that time is spent engaging with brands. If you’re not on social media, and your competitors are, what do you think will happen? That’s right — you’ll lose out on a chance to reach out to shoppers, and they’ll turn to your competitors instead. On top of that, social media also allows you to amplify your marketing messages by leveraging your customers. Consider the above statistic — those who experience positive interactions with a brand on social media are 3 times more likely to recommend that brand to their friends and family. On that note: don’t underestimate the power of word-of-mouth recommendations. Yes, you can sing your own praises, and tell your customers how much value you bring to the table… but when one of your customers steps up and vouches for your brand, it’s a lot more convincing. Here are two questions that we get a lot: is it more effective to focus on social media or PPC? And if you’re already running PPC ads, do you still need to invest time on fine-tuning your social media strategy? (Quick aside: for the uninitiated, PPC means Pay-Per-Click, and it refers to paid ads such as Google AdWords and Facebook ads). Now, back to the social media vs PPC question — the answer is a resounding yes. Don’t get us wrong — we love PPC as much as the next marketer, and it’s pretty amazing how you can set up a PPC campaign and start making money overnight. That said, relying on PPC alone isn’t sustainable in the long run, and it’s important to supplement your PPC efforts with social media marketing and other brand-building activities. Why do we say so? Well, the average PPC Cost Per Conversion was $7.02 back in 2008. In 2012, this jumped to $24.40. In 2016, it rose to $33. That’s a 370% increase in just 8 years… how insane is that? Now, your strategy might be to use less popular channels (Bing and Facebook ads, as opposed to Google AdWords) in a bid to defray your costs. This might work in the short run, but as these platforms get more mainstream, new advertisers will jump on the bandwagon and start driving up your costs again. Because all PPC platforms operate using the same bidding model, there’s no escaping that dreaded inflation. With social media marketing, on the other hand, you get the opposite effect. As you spend more time and effort on your social media, you amass more followers who engage with and share your content, and this brings about a network effect. Once you’ve built up a decent following, you’ll see that the results that you gain from social media promotion are more than proportional to the effort that you put in. A huge reason why business owners and marketers are reluctant to get into social media promotion is because they feel overwhelmed by all the different options out there. There’s Facebook, Twitter, LinkedIn, YouTube, Pinterest, Instagram and more — where do you even start? Here’s the good news: you don’t need to be on every single social media network there is. In fact, it’s more strategic to focus all your efforts on one or two key channels, and use these to promote your website. In this section, we’ll break down the various social media networks, and talk about which types of consumers tend to congregate within each network. 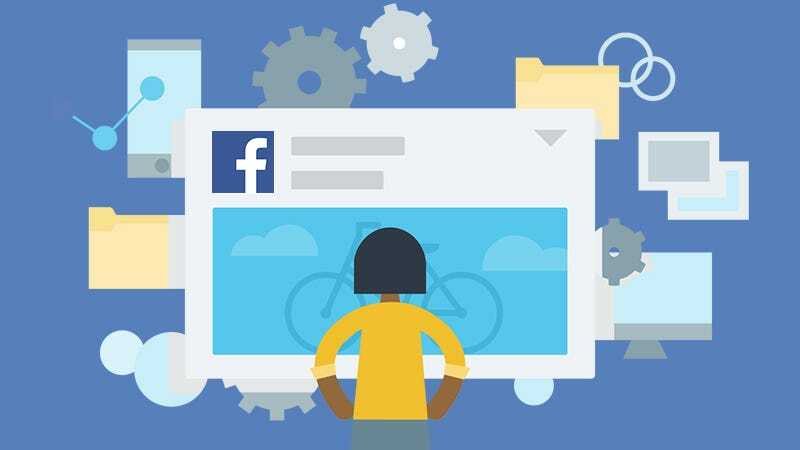 Facebook needs no introduction — it’s the most popular social media channel worldwide, and people use it to keep in touch with their loved ones, read about the latest news, and watch entertaining videos. As a general rule of thumb, Facebook is more popular with women than men, with 83% of adult women and 75% of adult men using the platform respectively. Now, let’s talk about geographic location. Facebook is the most popular in the US, with US users making up 12% of Facebook’s audience. India comes in a close second at 10%, with Brazilians, Indonesians and Mexicans making up 7%, 5% and 4% respectively. All in all, Facebook has 2.2 billion monthly active users on its site. If you’re gunning for brand awareness, and your goal is to promote your website to a wide audience (instead of a specific niche or segment), then Facebook is a good choice. Like Facebook, Twitter isn’t the newest or coolest kid on the block, but it’s still going strong. This social media platform is the fifth most popular social network among US adults. More women use Twitter than men in the US, but globally, more men use Twitter than women. Age-wise, 40% of US adults who use Twitter are between 18 and 29 years. While 32% of US teens are on Twitter, the bulk of these teens say that they use other social media platforms more heavily than Twitter. Finally, out of all the active users on Twitter, 72 million of them (that’s 20%!) live within the US. The rest of the 80% live outside the US. 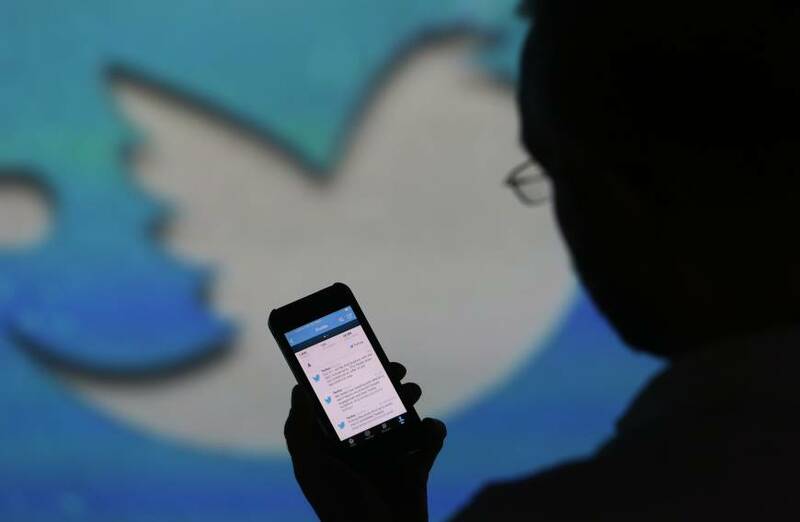 Twitter is particularly popular in Japan, the UK, and Saudi Arabia. Interestingly enough, Twitter users tend to interact with brands more so than any other social media network users. More specifically, 93% of people who follow small and medium businesses on Twitter plan to purchase something from these businesses. On top of that, 69% of people have previously made a purchase from a small or medium business because of something they saw on Twitter. If you want to market specific products on your social media channels, and drive sales to these products, then Twitter is a good bet. Instagram, which is now owned by Facebook, has established itself as a force to be reckoned with in the past five years. The gender split on Instagram is even, with 50.3% of Instagram users being women, and 49.7% of users being men. 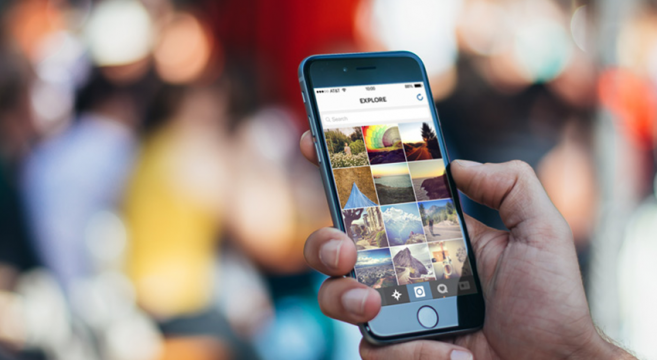 Age-wise, over 70% of Instagram users are under 35. Instagram is most popular among 18 to 24 year olds, as well as 25 to 34 year olds — these two segments make up 32% of the platform’s user base each. When it comes to location, most Instagram users are based in the US, but Instagram is also popular in India, Brazil, and Indonesia. Because Instagram is revolves heavily around aspirational content and aesthetically-pleasing visuals, those who own beauty, fashion or lifestyle brands will find Instagram a good fit. On top of that, Instagram has also introduced a feature allowing businesses owners to create shoppable posts — this makes it easier for business owners to market their products on Instagram. Compared to all the other social media networks we’ve discussed so far, LinkedIn is a vastly different beast. While the average Joe (or Jane!) will probably not have a LinkedIn account, this social platform is particularly popular among business professionals. Now, let’s talk demographics. 44% of LinkedIn users are female, and the other 56% are male. Unlike platforms such as Facebook, Twitter, and Instagram, LinkedIn caters to the older crowd; 61% of its users fall within the 30 to 64 age group, and 21% of its users are 65 years old or above. While 30% of LinkedIn users are located within the US, you’ll be able to find LinkedIn users in 200+ countries across the globe. US aside, LinkedIn is also popular in India, Brazil, Great Britain, and Canada. For those who run a B2B business, LinkedIn is the obvious choice. LinkedIn is the most-used social media network among Fortune 500 companies, and 45% of LinkedIn article readers are in high-level positions (we’re talking Vice Presidents, Directors, and even the C-suite). 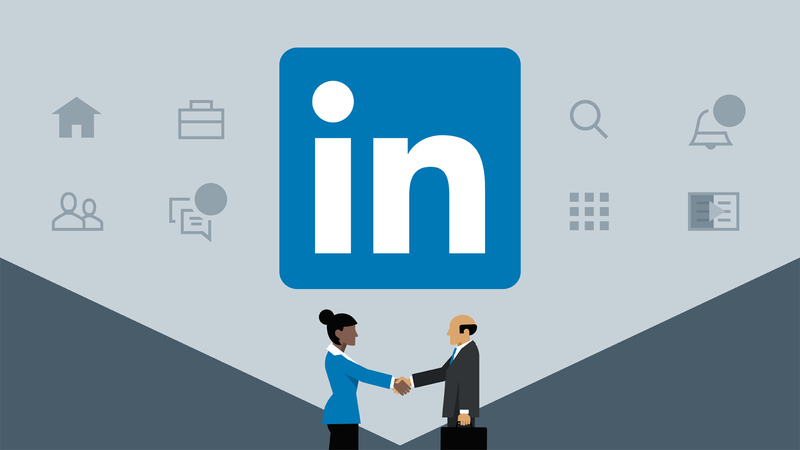 Assuming you’re looking to connect with decision makers and other business owners, LinkedIn is definitely the way to go. The first video that was uploaded on YouTube was done so in April 2005. In the 13 years since then, YouTube has grown exponentially; it’s now the second biggest social media network, coming in hot on the heels of Facebook. YouTube differs from the other social media networks on this list in two ways. Firstly, more men use the platform as opposed to women (55% vs 45%). Secondly, YouTube users are more scattered around the world, with only 16% of them being located within the US. YouTube is particularly popular with teenagers, and a whopping 96% of teens in US use YouTube. Interestingly, YouTube is also the social network of choice for the older crowd. 11% of YouTube’s users are 65 or older, and while this number doesn’t sound particularly impressive, this actually means that YouTube is one of the social networks with the highest percentage of senior users. For business owners, YouTube is a tricky one to nail. It’s relatively easy to produce or curate content to share on channels such as Facebook and Instagram, but if you want to create a video to upload on YouTube, this will take a fair bit of effort. That said, companies selling demonstrable products might find that it’s worth their while to come up with different types of product videos demos, tutorials, and other videos to market their brand on YouTube. 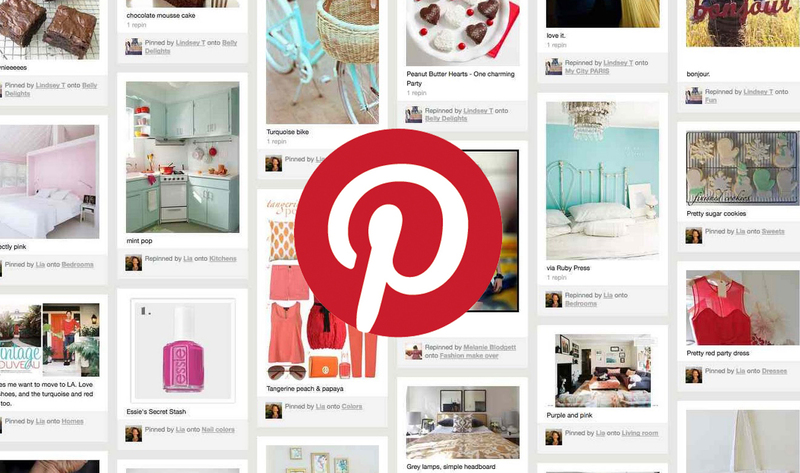 Last but not least, we have Pinterest, which is female-centric platform that’s dominated by women. More specifically, men are responsible for only 7% of Pins on Pinterest, with women behind the other 93% of Pins. While the median age of a Pinterest user is 40, younger Pinterest users tend to be more active. 1 out of 2 millennials in the US actually use Pinterest every month, so the stereotype that only moms use Pinterest is not accurate! Finally, out of all the social media platforms we’ve mentioned in this list, Pinterest is the platform with the least diversity — 50% of its users are based in the US, and the other 50% are from Brazil, India, Russia, and other countries. Like Twitter and Instagram, Pinterest is a great platform for business owners who are looking to drive sales. 61% of Pinterest users have made a purchase after seeing branded content on Pinterest, and 55% of online shoppers in the US say that Pinterest is their favourite online platform. The most popular categories on Pinterest are DIY & Craft, Food & Drink, and Home Decor, so if you’re in one of these industries, that’s all the better! Now that we’re clear on which consumers frequent which social media networks, let’s discuss the various social media marketing strategies you can use to promote your brand. Plenty of customers interact with companies and ask for support on Facebook, so be sure you respond to the enquiries that you might get in a timely manner. 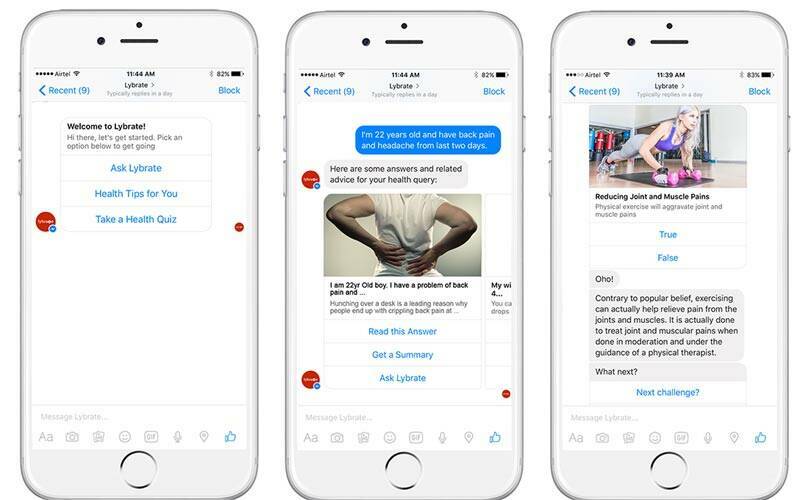 If you’re struggling to keep up with all the messages or tags that you get, you can reduce your workload by utilizing a chatbot. Don’t worry — you don’t need any HTML knowledge or coding skills for this. Just use a simple tool such as Chatfuel to get your bot up and running. The goal is to get your chatbot to handle the standard questions that you get (eg What are your opening hours? What is your return policy? ), so that you only have to step in to answer the higher-level, more complex questions. You’re probably already responding to customers who are Tweeting you directly, but how about the other folks who (indirectly) mention your brand in their Tweets? You won’t get any notifications about these mentions (because nobody’s tagging you! ), but you can simply search for your brand name on Twitter — that will do the trick. Alternatively, another option is to use a tool to monitor your mentions. Either way, you’ll be able to join the conversation, promote your website, and hopefully score yourself a new customer. PS: Here are 8 Twitter monitoring tools that you can use to track your brand mentions. That said, there’s a fair bit of work involved in creating shoppable posts. Among other things, you’ll have to set up a Facebook catalog, and connect this to your Instagram account. If you’re game, here’s a tutorial that will walk you through the process. Remember to shorten the URL using a tool such as Bitly — this way, you can keep track of how many click throughs you get from your Instagram bio, and optimize your efforts from there. B2B buyers conduct a great deal of research online before they commit to using a company’s products or services. Bearing this in mind, a great way of engaging these buyers is to create a lead magnet that you can offer as a download. If you’re not familiar with this term, a lead magnet basically refers to an asset (whitepaper, eBook, checklist, cheatsheet, case study, etc) that a company offers to an individual in exchange for their email address. Where does LinkedIn come in? You can market your lead magnet on LinkedIn, then direct LinkedIn users to a landing page to input their email addresses in exchange for your lead magnet. Once you obtain their email addresses, go ahead and drip the consumers through an automated email campaign, and nurture them till they’re ready to make a purchase. We’ve previously talked about how it’s more challenging to create content for YouTube (as opposed to other social media channels). If you really want to do this, though, don’t be over-ambitious, and jump straight into producing a behind-the-scenes tour of your office, or a complex product demo. These have too many moving parts to handle! Instead, we recommend starting with a simple FAQ video. Just set up your camera or phone, get someone to look in the camera and talk about the FAQs that you get, and do some light editing. Once you get more familiar with recording and processing videos, then embark on more ambitious projects. How Pinterest marketing works is simple. You build up your followers, create content to Pin, and when your followers Re-pin your material, you generate exposure for your brand. But here’s the thing: the goal isn’t just to create highly shareable images that will get a ton of Re-pins. You’ll also want to make sure you display your brand prominently on your content, so that anyone and everyone who comes across subsequent Re-pins can trace the content back to you. Of course, there are other things to consider when optimizing your images for Pinterest, including using eye-catching graphics, filling in your alt text, and more. Here’s a guide that will help you out. Install toolbars on your website, so that it’s easy for your visitors to share your pages and articles on their social media channels! There are plenty of tools (such as AddThis) that you can use, and these are pretty simple to set up. Like Facebook chat bots, you don’t need any technical expertise or coding skills to get your toolbar up and running! Now that consumers are increasingly turning to social media to discover new brands and research products, social media marketing is no longer a nice-to-have. Instead, it’s a must-have. So identify the social media channels which are the most important to your brand, and start working on your social media strategy today!